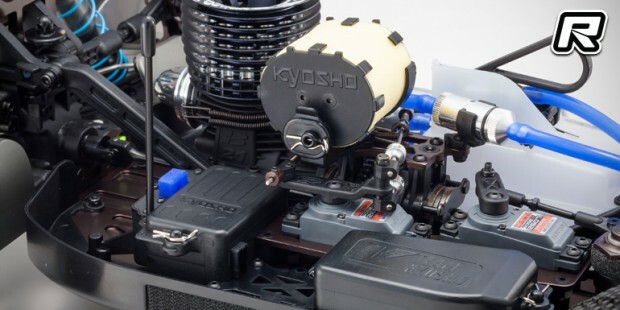 Following a series of leaks and more or less unofficial information on the much-awaited MP9 TKI4 1/8th nitro off-road buggy, Kyosho have now officially introduced the successor of the long-running TKI3. Set for a release in April the buggy will feature 22 improvements and refinements such as reinforced lower A-arms that show optimised webbings to allow for the right amount of flex while being super tough at the same time. 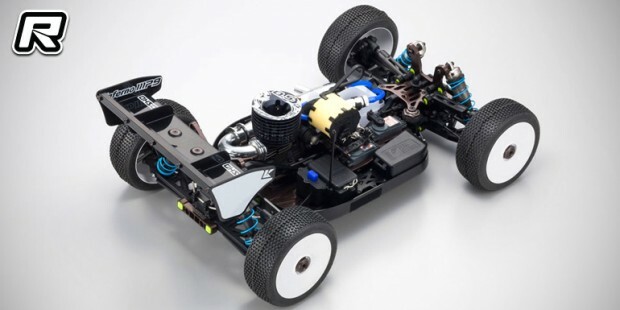 The updated arms will make shock setup easier and the front wishbones are also 2mm longer, bringing the car close to the maximum allowed width for improved cornering. 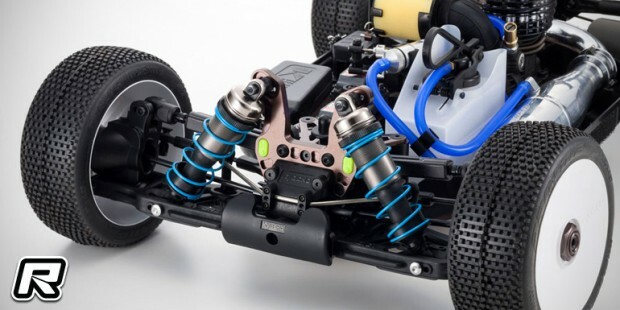 New for the TKI4 are also uniform 93mm long front and rear driveshafts that do away with the need to carry different sets of driveshafts. 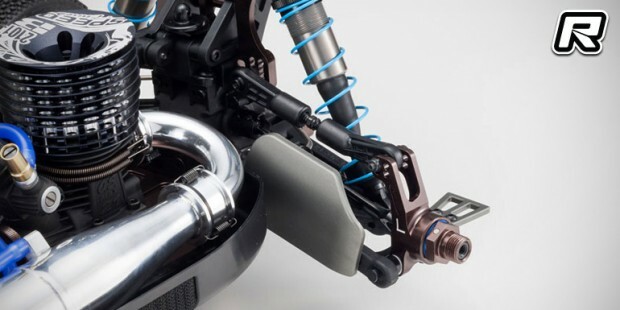 Part of the new suspension package are also updated steering knuckles with improved Ackermann for increased corner speeds. In the rear aluminium rear hubs with eccentric inserts increase the number of roll centre adjustments. 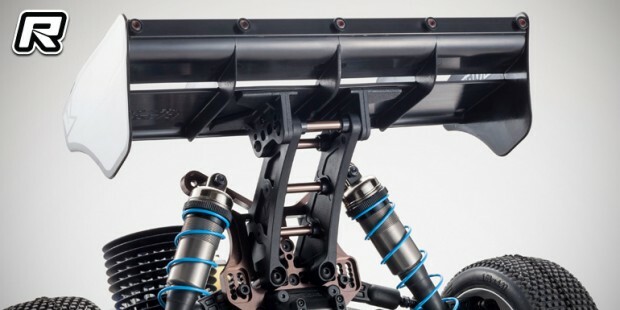 The upper linkage rod has an upper and lower mounting position, and now the inserts on the new rear hubs provides intermediate adjustments of just 1mm. 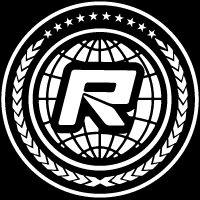 This give the racer four different settings instead of two. Another new feature in the suspension department is a reduced hinge pin angle for the front suspension. 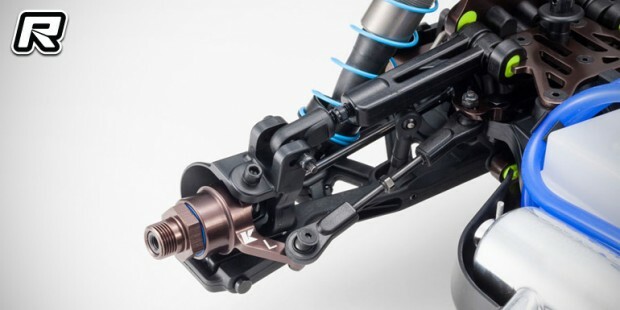 The reduced hinge pin/arm angle reduces the amount of dive during corner entry, and significantly improves on-power steering during corner exit. 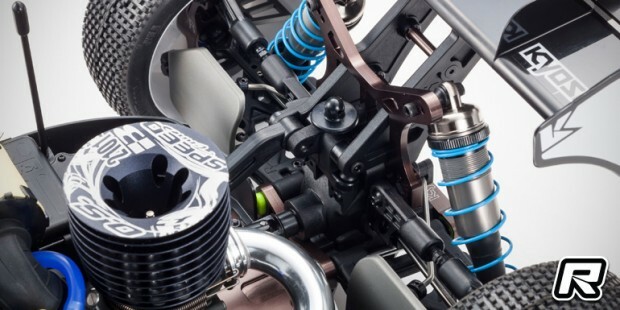 Included in the kit are also new standardised 5×1.5mm shock pistons that produce a little less pack and make for smoother and more linear damping. The initial damping is improved making for better response, better traction and greater confidence. 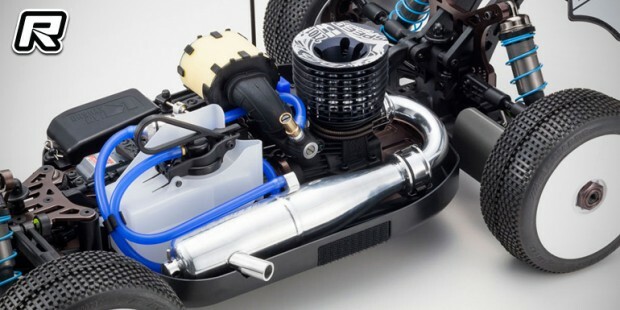 Other new features include stronger 4mm hinge pins, a heavy-duty servo saver, a larger opening for the receiver box, straight-type shock dust boots, updated shock pins with a groove around the entire circumference, as well as 6.8mm ball ends. Black indexed spring pre-load adjusters, a wider, lower wing support and a lightweight vented clutch bell complete the chassis package. The kit is then rounded out by a new bodyshell which provided more front downforce, a new lightweight multi-element rear wing and new, lighter wheels. – Includes IFW459 Heavy Duty Servo Saver assembly.